Die familiäre hypocalciurische Hypercalcämie (FHH1) ist ein autosomal-dominant vererbtes Leiden bedingt durch eine inaktivierende Mutation im Calcium-sensing-Rezeptor (CaSR) mit lebenslang bestehender Hypercalcämie und relativer Hypocalciurie. Seltener findet man heterozygote Mutationen im GNA11-Gen (FHH2) oder eine Mutation im AP2S1-Gen (FHH3). Das Parathormon ist inadäquat hoch gemessen am Calcium als Ausdruck der PTH-Resistenz. Der Phänotyp ist asymptomatisch, selten findet man Nierensteine. Der Schlüssel zur Diagnose ist der Calcium/Creatinin-Clearancequotient unter 0,01. Patienten mit FHH werden gelegentlich als Patienten mit asymptomatischem primärem Hyperparathyreoidismus (pHpt) fehldiagnostiziert und parathyreoidektomiert, der Serumcalciumspiegel bleibt jedoch erhöht. Die molekulargenetische Analyse des CaSR erlaubt die wichtige Differenzialdiagnose zum pHpt. Das seltene und lebensbedrohliche Syndrom des neonatalen schweren Hyperparathyreoidismus (NSHPT) mit ausgeprägter Hypercalcämie ist durch eine homozygote Mutation im CaSR bedingt und bedarf gegebenenfalls einer notfallmäßigen totalen Parathyreoidektomie. 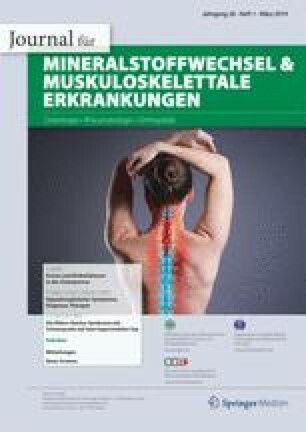 Symptomatische Patienten mit FHH können mit Calcimimetika behandelt werden. Familial hypocalciuric hypercalcemia (FHH1) is an autosomal dominant inherited disease with inactivating mutations in the calcium sensing receptor (CaSR), and lifelong high penetrance for mild hypercalcemia and relative hypocalciuria. Rarely, FHH is caused by germline heterozygous loss-of-function mutations of the GNA11 gene (FHH2) or by germline heterozygous loss-of-function mutations of the AP2S1 gene (FHH3). Parathyroid hormone is inappropriately high for the elevated calcium, which reflects parathyroid resistance. The phenotype is mainly asymptomatic; rarely, kidney stones are found. The diagnostic key in FHH is the low calcium/creatinine clearance below 0.01. Patients with FHH are potentially misdiagnosed as having asymptomatic hyperparathyroidism (pHpt) and may have parathyroidectomy, which does not correct the hypercalcemia. Molecular genetic analysis of the CaSR offers a valuable supplement to the differential diagnosis of pHpt. The rare and life-threatening syndrome of neonatal severe hyperparathyroidism (NSHPT) with severe hypercalcemia is usually caused by homozygous mutations of the CaSR and sometimes has to be treated by urgent total parathyroidectomy. Symptomatic patients can be treated with calcimimetics. F. Raue, C. Haag, E. Schulze und K. Frank-Raue geben an, dass kein Interessenkonflikt besteht.